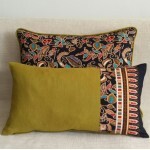 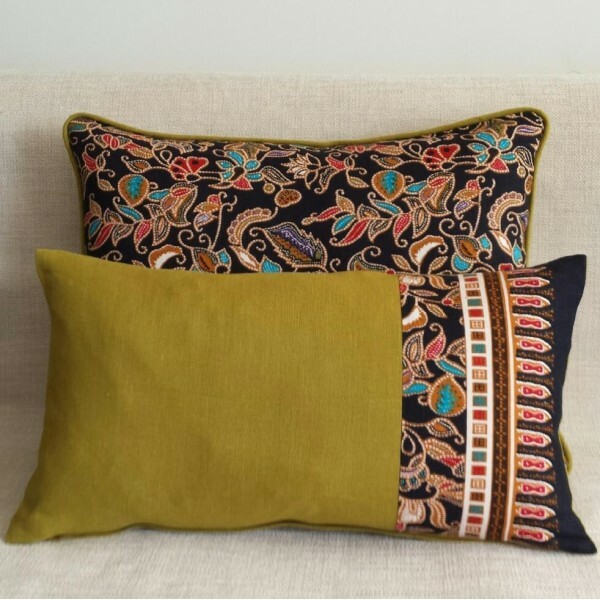 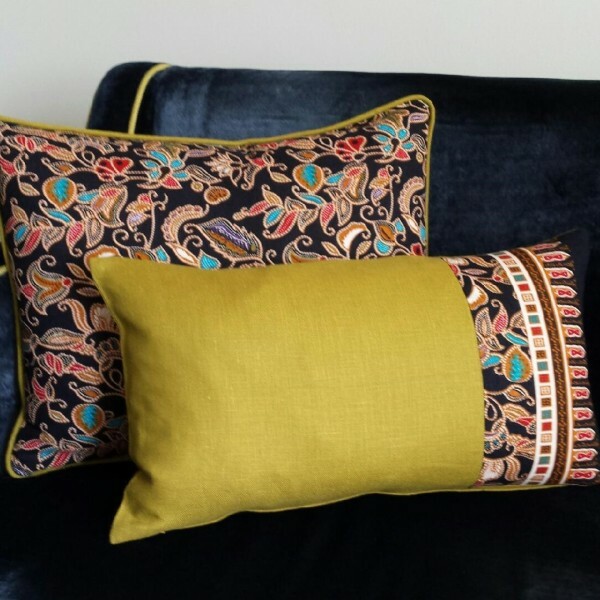 A batik style printed panel, with a design that looks like jewellery, has been teamed with a wider panel of cotton in a citrus green, with a zip closure at the base. 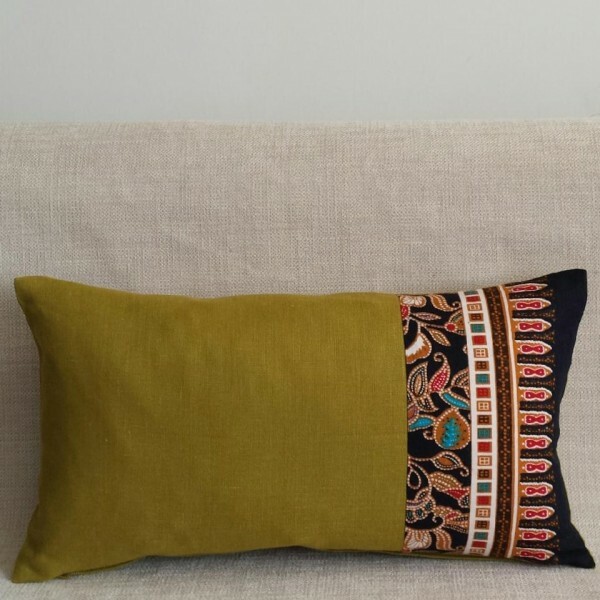 Fabric: Printed cotton with lime green cotton piping and backing. Dry clean only. Includes a duck feather pad.